We leave in the morning for our annual family vacation. Jeff is here from Portland, Oregon. Robin and her family and my sister Jule and her family will all spend the next several days together. We’re going to be in Branson, Missouri for the third year. In the past we’ve taken cruises, flown to Florida and Hawaii, and each year it has been my mother’s treat. Mom adored getting the family together. She didn’t have that much money but said she liked spending it to make good memories while she was alive to enjoy them too. This year Mom won’t be with us. She’s too weak to make the trip and this will be the last time that she will play host to our reunion. We will miss her and no doubt spend time sharing great memories of her. This is the way she would want it. Here’s a poem Mom wrote. I don’t know when but it seems to be about me a long time ago. She began writing poems more than seventy-five years ago and we published a book of her work when she was ninety-five. 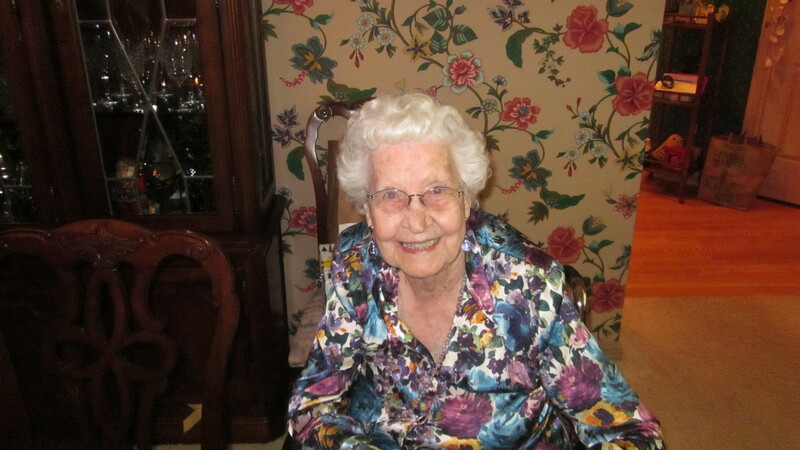 In less than a month she will celebrate her 100th birthday.